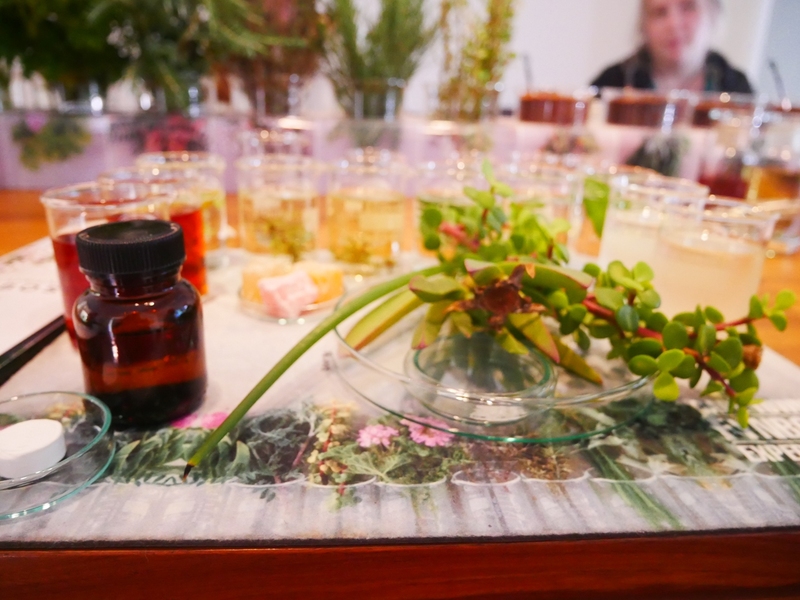 Enjoy an utterly unique fynbos tasting experience in Cape Town, sampling indigenous tea infusions, cordials, tinctures, oils and edible botanicals  all 100% natural. 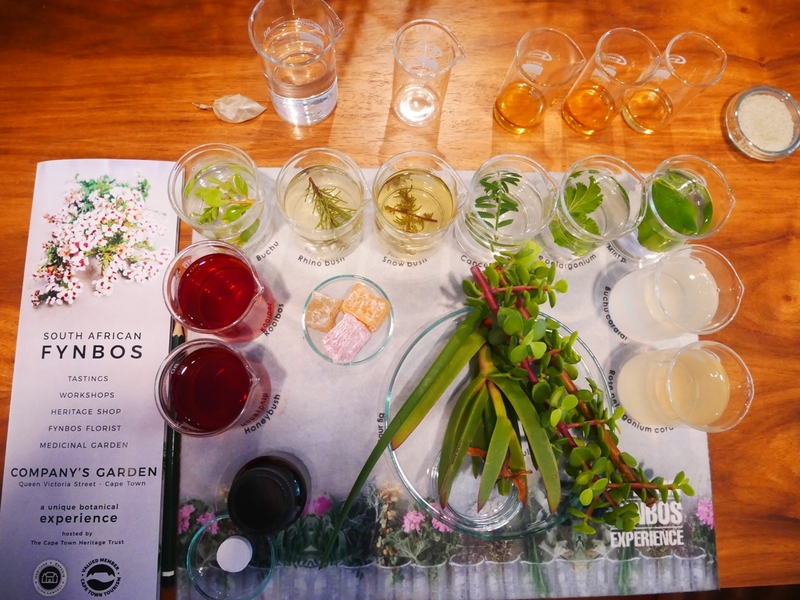 Discover the medicinal properties and aromatic flavours of Fynbos botanicals during this unique tasting experience in the historic Company’s Garden, Cape Town. 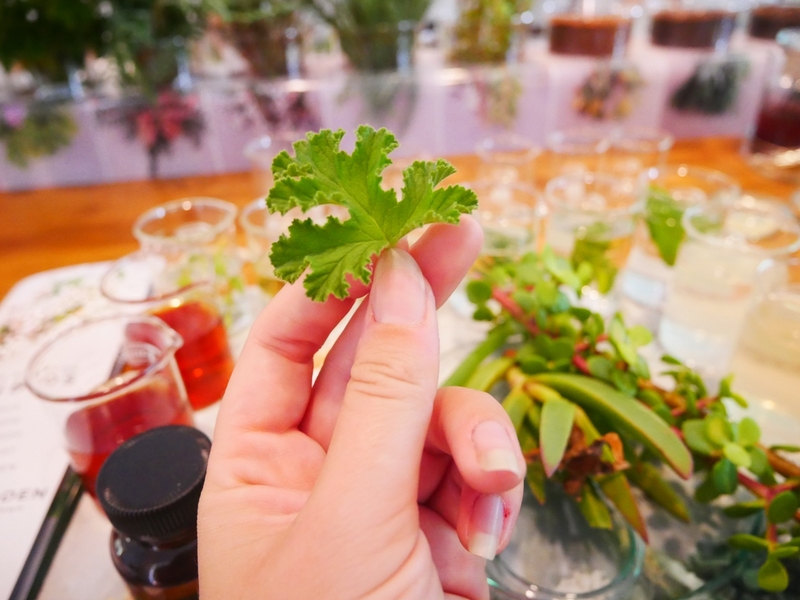 With a range of tea infusions, edible naturals, oils, cordials and tinctures to try, this workshop provides an entertaining insight into the wonders of the Cape Floral Kingdom’s vegetation. On arrival at the tranquil Visitors Centre, the presenter will introduce a selection of unusual Fynbos species in a laboratory-style tasting such as Rhino bush, Cancer bush and Buchu amongst others in a fascinating hour of botanical exploration. The distinct flavours of the Cape Floristic Region truly come to life when made into these fragrant teas and tinctures and guests will be treated to sweet treats and digestives to complement the experience. 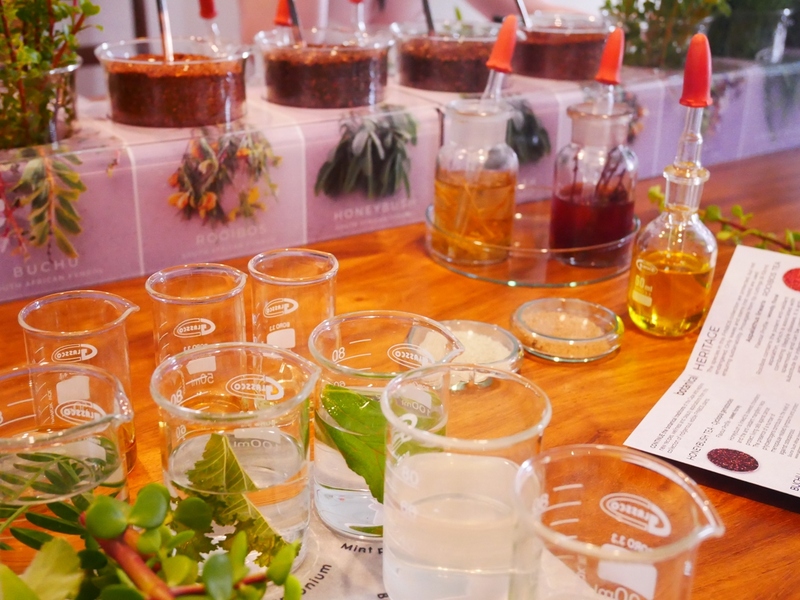 Each guest will receive a Fynbos Tasting Booklet, so you can continue creating your own blends at home! 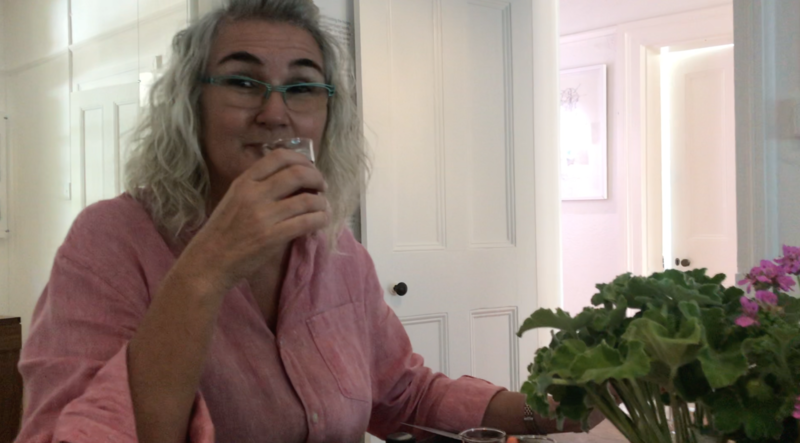 The Cape Town Fynbos Tasting Experience is utterly one-of-a-kind and makes a thoughtful gift for those who enjoy making their own home products - or for anyone who loves to try new things! The Fynbos Tasting Experience runs on Wednesdays and Thursdays at 2pm, subject to availability. This is a one hour tasting experience. 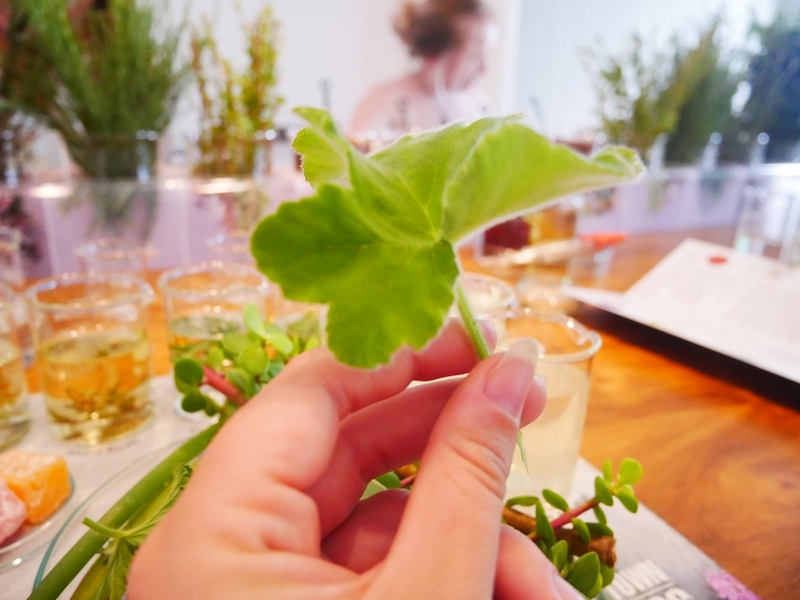 Participants: The Cape Town Fynbos Tasting Experience is for 1 participant. The workshop is held inside so should not be affected by the weather. I have now been twice! And planning a third trip for a friends kitchen tea experience! I was so charmed and taken with the whole experience I had to go back. There is so much to taste and know about Fynbos and her many benefits for our health and wellbeing too! Giselle is an incredibly warm and knowledgeable hostess, but also delivers the experience in such a grounding and engaging way. I was so inspired, I came home to grow a Fynbos gin garden in my veggie patch..And plant an array of Fynbos in my garden to be able to pick and infuse at my whim at home. Thank you Giselle! I recommend this to anyone...Everyone. It is not just a perfect experience and setting when hosting guests from out of town, it is perfect for anyone interested in learning and benefiting from Cape nature herself. It's a must! And the products on offer are really amazing for gifts to spoil yourself and others with too. When it comes to tastings, the usual suspects include wine, chocolate, beer, coffee, gin etc., and there's no short supply of events to choose from. If you've swirled your last wine or nibbled enough chocolate to last a lifetime, it may be time to find a new, utterly unique, completely one-of-a-kind tasting session. Enter; Cape Town Fynbos Experience. Run by Giselle Courtney at the historic Company's Garden in central Cape Town, this informative and entertaining botanical feast is guaranteed to be like nothing you've experienced before. Even if you think you know a lot about fynbos, prepare to have your socks knocked off with the endless medicinal properties, textures, tastes, and uses of these ancient plants. 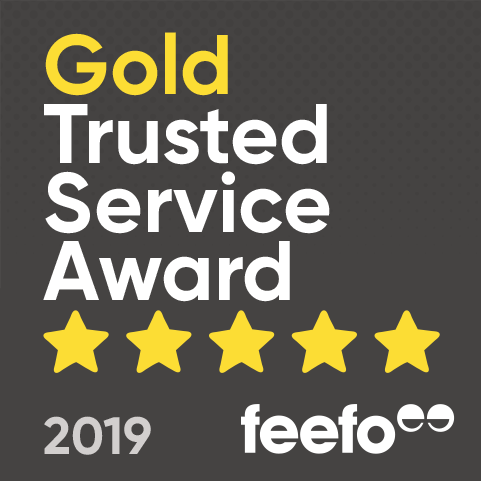 I was lucky enough to be invited to a session this week, so read on for my full review! Not only is this a completely unique tasting experience, it's also one of the most visually appealing tastings I've ever attended. On arrival at the Company's Garden Visitors Centre, Giselle greeted me with a warm hug, then showed me and the fellow guests into the tasting room, adorned with floral cushions and stools made of carved elm wood. At each place setting was a laminated card with various beakers of liquids, dishes of salt, oils, vinegars, and fynbos cuttings. Giselle kicked things off with a brief talk on the history of fynbos (which is anything but brief, given that it's been growing for around 120 million years), before introducing us to the first tastings, Honeybush and classic Rooibos tea. I'm not much of a tea drinker so couldn't quite taste the difference, but I can see why they're so popular in this region! Up next were the infusions, six different fynbos plants left to sit in hot water for approximately 45 minutes. Buchu was first which had a subtle mint flavour, followed by Rhino Bush (the preferred snack for rhinos), which is used as a treatment for the flu. The third infusion was Snowbush which had a distinct rosemary flavour, and is often used in cooking as a unique seasoning. With the lingering taste of Cancer Bush still burning our throats, we gratefully moved onto the sweetened cordials, made with Buchu and Rose Pelargonium. Again the Rose Pelargonium won it for me, I may have to go foraging for some of that! As a cleanser in between tastings we used Buchu essential oil on a cloth, then proceeded to make a salad dressing. Yes that's right, we blended our very own vinaigrette using Snowbush salt, Buchu white wine vinegar, Snowbush red wine vinegar, and Buchu olive oil. What's the point of a salad dressing without a salad though? Well, that's where the Spekboom came in. Popular with elephants, Spekboom is a succulent with slightly bitter juicy leaves, great for adding sharpness to salads or other dishes. Also on our plates was Bulbine and Hottentot-fig, but these weren't for eating! To give us a short break from the intense flavours of everything we'd tasted so far, Giselle showed us a slideshow representing the 'art of fynbos', and how it's inspired architecture and lifestyle around the world. The final element of the tasting experience happened to be the part I was most looking forward to; sweet treats and alcohol! We had three pieces of vegan Turkish Delight, orange, rosewater, and toasted almond, accompanied by Buchu brandy, Rhino Bush gin, and Snowbush vodka. The rosewater Turkish Delight and Buchu brandy was by far my favourite, ending the session on a very delicious note! 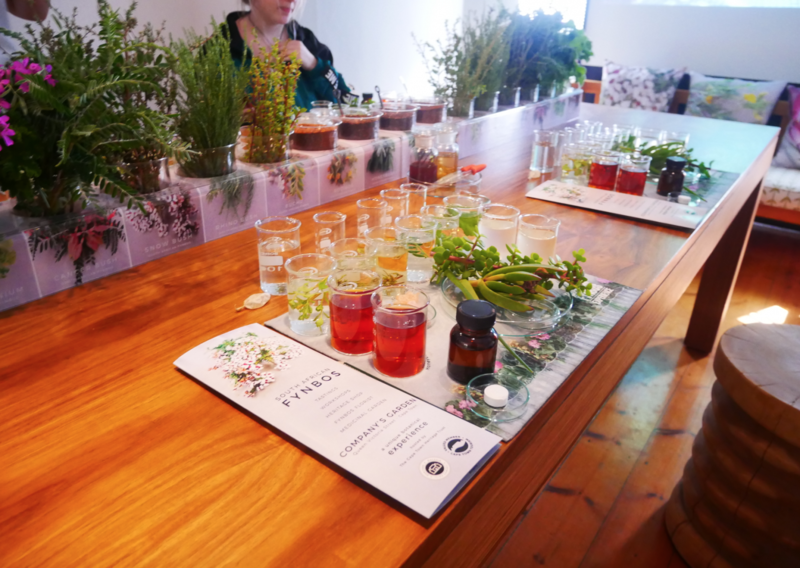 I didn't really know what to expect from a Fynbos Tasting since I'm not a keen gardener or avid botanist, but you certainly don't need to be 'into plants' to enjoy this experience. The enthusiasm with which Giselle presents her wares is contagious, and the design, layout, and organisation of the experience is clearly very well thought out. Can't recommend this activity enough for anyone wanting to know more about fynbos, or those looking for a unique and exciting tasting experience - it would make a great Mother's Day gift for sure! Big thanks for Giselle for the invitation and for putting on such a memorable session.